Thanks to our sponsors for supporting this community event. OUC–The Reliable One is a municipal utility owned by the citizens of Orlando. It provides electricity and water services to customers in Orlando, St. Cloud, and parts of Orange and Osceola counties. OUC continues to live up to its name. It has been honored four times as the most reliable electric utility in the Southeastern United States by PA Consulting Group, a leading management, systems, and technology consulting firm. Use the OUC Preferred Contractor Network to find a qualified, licensed contractor to make efficiency upgrades to your home. It’s fast and easy and you’ll receive your rebate at the point of sale. Learn more about the depth and breadth of OUC’s green initiatives. We are your hometown running and walking headquarters, your one stop shop for the highest quality shoes and apparel expertly sold by a knowledgeable staff. We are your inspiration for change and motivation to empower others. Get fit and feel great! Be sure to check out Brooks in Track Shack during race week at Packet Pick-Up and have a chance to experience the Brooks VIP Porto-Lets by purchasing over $40 worth of Brooks gear at Track Shack beginning October 12th. We help people achieve health and financial security by providing easy access to cost-effective, high-quality health care. And we continue to be a leader in building a stronger, more effective health care system by working with doctors, hospitals, employers, patients, public officials and others. Aetna has a long history of providing healthcare for OUC employees and is excited to sponsor this community event. Please view Aetna’s commitment to a healthy environment. Publix Super Markets is the largest and fastest-growing employee-owned supermarket chain in the United States. Publix and our associates excel in community involvement, volunteerism and a commitment to our market areas and beyond. Publix's commitment to diversity has contributed to our success in being a great place to work and shop. Publix’s has a Green Routine® and read how we all can get one too! Stop by the Publix tent on-site for post-race refreshments! At Brooks we believe no matter the question, the answer is ALWAYS THE RUN. Whatever you’re doing, wherever you are, when you run you break free of things that hold you back. You discover your path to truth and joy. We do one thing at Brooks. We make the best running gear in the world. Nothing more. Nothing less. Every design and engineering choice is informed by runners’ needs and the running experiences they crave. 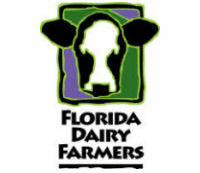 Florida Dairy Farmers is Florida’s milk promotion group that works to educate consumers on the dairy farming industry and the nutrient-rich foods it provides. FDF represents more than 130 dairy farming families throughout the state. Get more info on Florida Dairy Farmer’s farm practices and environmental sensitivity. See the Florida Dairy Farmers on race day and get your ice cold chocolate milk and towel while supplies last. 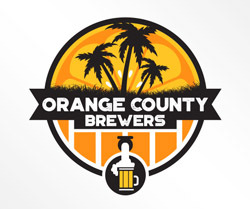 Enjoy a local beer from Orange County Brewers on race day. The Orlando Downtown Development Board (DDB) strengthens the role of Downtown Orlando as the economic, governmental and cultural center of Central Florida. The DDB is responsible for the planning, implementation and administration of the City’s core area redevelopment and development program. On your run at the OUC Orlando Half Marathon, see all there is to see in our beautiful city. Learn more about Downtown Orlando’s Green Works program. 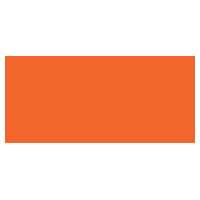 Florida Citrus Sports is a not-for profit membership organization dedicated to increasing community spirit and pride, promoting tourism, stimulating economic development and ultimately benefiting charities, educational institutions and the quality of life in Central Florida through its signature events. The Florida Citrus Sports Foundation is committed to enhancing the quality of life for disadvantaged youth and families in Central Florida. This is accomplished through the Foundation’s charitable contributions to organizations dedicated to improving the lives, health and education of children in our community.